Replica makers have acquired another way to trick Armani customers by sending emails through fake accounts. People who are not able to differentiate between an authentic email and a phishing mail can easily get tricked. These cyber criminals are taking advantage and making money by advertising fake Armani products through emails which are not associated with Armani. Though Armani as a company cannot prohibit such mails as it is impossible, but if people are aware of some tactics to analyze the originality of an email then the cyber crime business can come to an end. 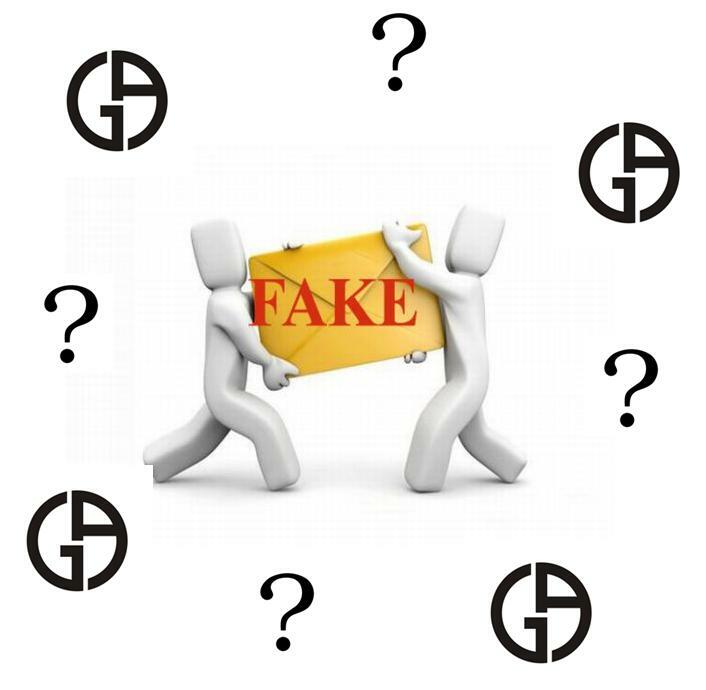 The guide given in this article will definitely help people who are confused while finding the difference between a fake Armani email and a real Armani email. The first thing is to check the email address; does it tally with the company’s name Armani? If it does not then it surely is a fake mail. But sometimes the name is the same and that's when you will have to analyze it very carefully because the email address might have wrong spellings of Armani; for instance the spellings in the address is ’Aarmani’ instead of ‘Armani’. The other possibility can be that the email sent to you might have completely different address and this address which is shown has no association with Armani’s company. This is an open proof of a fake mail, so you do not have to do any further analysis. When a mail is sent to you, a fake Armani email will address you as ‘Dear Customer’ instead of using your name. So if by any chance you receive a mail from Armani’s company they should greet you by using your name, and if that is not happening then this is for sure a bogus email, so be aware. Sometimes you receive a mail in which the sender demands you to send a reply as soon as possible otherwise your account will be closed; Armani never sends emails in which urgency is mentioned or a threat is given. If there is a link in the mail, analyze it properly. Is it similar to the address of Armani’s official website or not? Make sure you have inspected the spellings carefully because in order to trick people cyber criminals use wrong spellings. An original Armani email will never demand for your personal information which includes your password or a bank details. You should never share such information with anyone. If you are not expecting an email from Armani and out of nowhere you receive one, then that is yet another reason for not taking the mail seriously. Trash it instead of replying to it.